On the Sunday (Nov. 18) before Thanksgiving, poor people riding bicycles and pushing old grocery carts lined up—as they do every week—to eat and worship God underneath Interstate 35. "These people loved me when I didn't love myself," said Robert Walker, 50, who has battled drug addiction and spent time in and out of prison. "The only reason why I wouldn't be here is if I was incarcerated." But next March, the 26-year-old church—which serves hundreds of this Central Texas city's neediest and most vulnerable residents—will become homeless itself. The Texas Department of Transportation began warning Dorrell, co-founder and president of a ministry called Mission Waco, about the impending construction several years ago. He jokingly refers to the project as "our church remodel." "They were concerned about us," Dorrell said of the highway officials. "We laugh about that because we're just squatters. We have no right to be at the table." After the Waco Tribune-Herald reported on the church's plight, Dorrell got a call from one of this city's most famous residents: Chip Gaines, who with his wife, Joanna, starred in the HGTV home-improvement reality series Fixer Upper. Gaines offered the lawn of Magnolia Market at the Silos—the couple's popular tourist destination, which drew an estimated 1.6 million visitors to Waco last year —as a temporary home for Church Under the Bridge. "I've known about Jimmy and the way he's been selflessly serving this community for a while, since back when I was in college," Chip Gaines, a Baylor alumnus, told Religion News Service in an emailed statement. "A few months ago, I read about how the I-35 project would impact his church, so we reached out to discuss his options and ultimately, to see if there was a way we might be able to help. "I've always admired Jimmy from afar, so when we both agreed that the location of the Silos made sense for Church Under the Bridge, I knew we wanted to be part of the solution for this congregation," Gaines added. 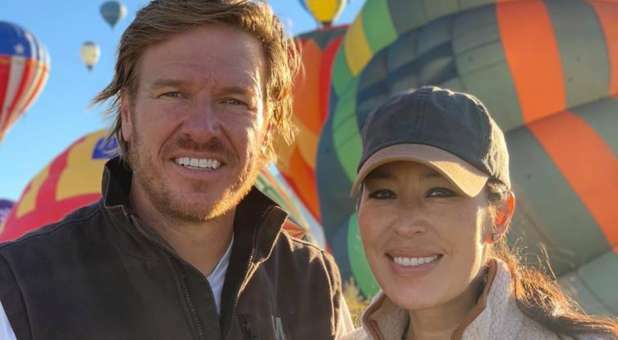 Dorrell, who also teaches theology courses at nearby Baylor, the world's largest Baptist university, said he has known Chip and Joanna Gaines since they were students. He said they've supported the church in the past. Joanna Gaines has appeared in Mission Waco's "Fashion with a Passion" style show, an annual fundraiser. More recently, the couple donated $51,000 to the ministry's nonprofit grocery store, Jubilee Market, through an auction of items from the old Elite Cafe, now known as Magnolia Table, he said. "They're committed Christians. It's very consistent with who they are," Dorrell said of the celebrity couple inviting the church to meet on their property. Dorrell expressed hope that Church Under the Bridge's faithful will make the short trek to the new location and that tourists who show up to take pictures on Magnolia Market's off day might join them. If not, he'll come up with an alternate plan. "If the poor don't show up, we'll move," he said, "because we're there for the poor." As Sunday's crowd devoured bowls of stew and cornbread and chomped giant pieces of chocolate cake, longtime attendee Walker—sporting a Dallas Cowboys jersey—said he sees pros and cons to the move. "It might be a little different because I'm used to coming here. I love it here," he said as worshippers clad in hoodies and wrapped in blankets took seats in metal-legged folding chairs on this cloudy, 45-degree morning. "This is sacred ground to me." Still, he's ready to make the move. "The main thing is to keep the body (of Christ) together, wherever we are," he said. "As long as we allow the Spirit to usher in and the Bible to be preached, I think we'll be all right. ... What registers is the music, the people. You know what I'm saying?" "This is for people who don't have clothes, that are embarrassed to go to church, that ain't got a shower," said Johnson, who worked as an underwater welder before addiction took hold of her. "You're taking a lot away from us by redoing this bridge. Move us to another bridge, why can't you? Sending us to a tourist attraction isn't what we want." "I love to serve other people that are on the margins that don't have enough to eat," Coffman said. "I think that's what Jesus taught us to do—to care about those people who are in need." She said the current location is easier to get to and worshippers can come and go as they please. To get to Magnolia, she said, worshippers will have to go through a single entrance, so "it's going to be interesting to see how it works out." "But I think they're very generous to offer," Coffman said of the Gaineses. Plans call for replacing the gravel lot with concrete and installing lower curbs, which will benefit the handicapped, the pastor said. Meanwhile, the lane widening will expand "the roof" over the bridge, which will keep the crowd dry on rainy days. "The church of Jesus Christ in America is, in so many ways, shallow," Dorrell said during Sunday's sermon, speaking over the rumble of traffic. "You've got to grow up. Christianity is not just about being saved. That's just the first step in a lifetime process." "We are a broken church with people who admit we've done things we shouldn't have done."